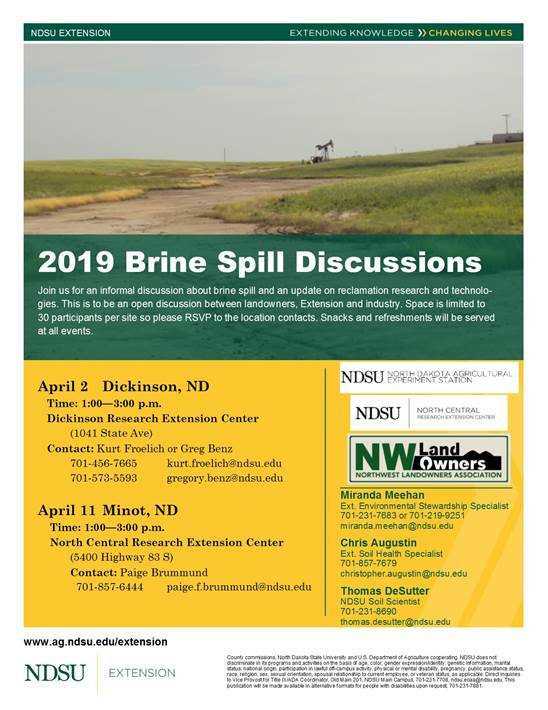 Please join us next week in Dickinson or April 11th in Minot for an informal discussion on brine spills and brine spill remediation. NDSU researchers will provide an update on the current brine remediation research being conducted in the state. In addition, David Saxowsky, Associate Professor specializing in agricultural law, food law, farm and agribusiness management, and water law will be joining us. Please R.S.V.P. as space as limited.